We set boundaries to protect ourselves. In order to protect ourselves effectively, we need to know what we’re protecting. Developing a rich understanding of our own needs, desires, values, and vision gives us the firm sense of identity we need to keep from wavering in our commitment to speak our truth. When I didn’t have a clear sense of who I was or what I wanted, it was easy to let others define me; wait for others to speak up for me; resent people who didn’t proactively predict or meet my needs; prioritize others’ needs over my own; and seek value from external sources, like whether others liked me or found me attractive. Combined, these tendencies were painfully disempowering. I often felt like a shadow of myself. I first began to build a solid sense of identity after I went through a devastating breakup with a long-term partner. My codependency had been a contributing factor to our separation, and I was finally beginning to understand that I couldn’t expect others—lovers, parents, friends, or colleagues—to be my purpose for living. I also couldn’t allow external measures of success—like climbing the career ladder, losing weight, or winning awards—to be the driving forces behind my behavior. I had to go deeper. Here’s how I did it. Step 1: Meet your fundamental needs. At first, I wasn’t sure where to begin. I mean, how do you build an identity? In that fragile state of post-breakup unknowing, questions like “Where do you see yourself five years from now?” or “What direction do you want to take your business in?” were enough to reduce me to tears. I didn’t know what direction I wanted my career to go in. I didn’t even know how I would get through the weekend. What I did know was that I wanted Kava tea before bed, and that I couldn’t sleep without lavender oil in my diffuser, and that going on long walks around the park with my best friend made my heart feel lighter. As I explain in my previous post about discovering what you want when you’re a people-pleaser, these mild, uncomplicated wants were sacred whispers from my innermost self. By pursuing these small desires, I learned to trust myself. Maslow’s hierarchy of needs gave me a helpful roadmap as I became more accustomed to taking care of myself. Recovering people-pleasers like me rarely meet our own needs and/or prioritize others’ needs instead. Oftentimes, we neglect even our most elementary needs at the bottom of the hierarchy. In the past, for example, I regularly cancelled dentist appointments and annual physicals, though I fiercely encouraged others in my life to take good care of themselves. I didn’t get enough sleep and postponed trips to the grocery store. Only when I began to meet these primary needs did other, more complex desires arise. We must meet our own fundamental needs on a regular basis in order to construct the firm foundation upon which our sense of identity will be built. Step 2: Uncover your core identity. 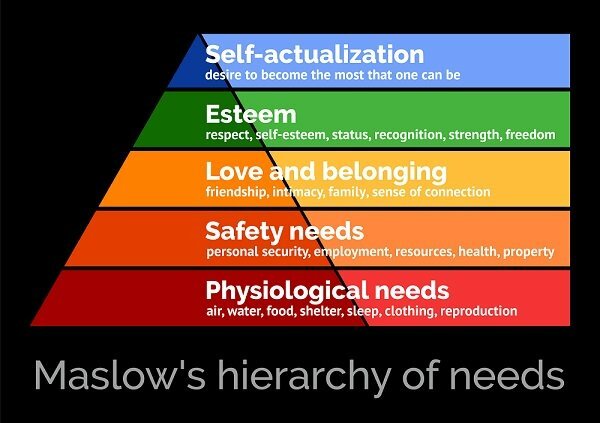 Over months, I slowly climbed Maslow’s hierarchy, continuing with basic self-care as more vibrant desires surfaced. I began to crave rich social connections, meaningful bonds with family members, travel, and dancing. My natural curiosity, which I hadn’t felt connected to in years, awakened. Vision: What do I want my future to look like? Identity: Who am I and what roles do I play? Values: Which principles or morals most resonate with me? Skills: What abilities do I possess? Desires: What do I crave? Exploring my identity across multiple planes gave me the chance to learn how expansive I actually was. For starters, I possessed far more skills that I’d ever given myself credit for! I was uniquely empathic, a good listener, organized, and great at designing systems. I learned that I valued personal freedom, self-expression, financial responsibility, and playfulness. As someone who was recovering from a codependent romantic relationship, I was stunned to remember that I was sister, a daughter, a coach, a community leader, a best friend, and more. Wide-eyed, I realized that I was so much more than the shadow-self I’d felt like months before. I’d spent so much time defining myself by others that this simple exercise—putting my pen to paper and exploring myself for thirty minutes—was a milestone: not only because of what I discovered, but because I took the time for myself to do it at all. Take some time to explore your own roles, values, morals, abilities, and desires. It’s easier to set boundaries to protect the things that matter to you most when you’re clear on what those things are. Step 3: Bring your authentic self to your relationships. In retrospect, that early period of self-discovery was the most profound period of my life to date. It was characterized by the uncompromising commitment to prioritize my innermost self. Most importantly, those months provided me the firm foundation I needed to bring my authentic self to my relationships with others. Boundary setting is like working a muscle—difficult and exhausting at first, but eventually, second nature. With this new understanding in hand, I began to tentatively set firm and healthy boundaries in my relationships. At first, simply saying no to a party invitation was a challenge. But I did it. Not long after, I set non-negotiable work hours and withdrew from a few extracurricular commitments that no longer served me. It was hard, but also felt totally righteous. As I pocketed these small successes, setting harder boundaries felt less impossible. Eventually, I told best friends when their actions upset me; terminated romantic partnerships that weren’t meeting my needs; and unpacked old childhood hurts with my parents. I’d be lying if I said I didn’t dance around my kitchen once or twice—okay, definitely twice!—totally overjoyed that boundary setting was coming more easily to me. After each difficult conversation, rocky though it may have been, a weight lifted from my chest. In the absence of that weight, I could navigate the world more freely. I noticed that I was more present for my clients, more playful with my friends, and more authentic with my family. Relationships that had once been a source of resentment finally felt nourishing because I was bringing my full self to the table. Notice when you’re being inauthentic in your relationships so can you start creating this same freedom for yourself. Practice communicating what you think, want, and need and sharing how you honestly feel. Once you start working this muscle, it becomes much easier to set boundaries in all areas of your life. Putting my truth into action is a lifelong journey because my truth is always changing. My relationships grow, my needs shift, and my identity—the very bedrock of who I am and what I’m protecting—transforms. Years later, I still occasionally find myself challenged by moments of confrontation. In those moments, I always harken back to the fiercely empowering truth that I set these boundaries to protect the vibrant inner self that I’ve come to know and respect. I like to remember that this journey may not be linear. I like to remember the progress I’ve made so far. Most importantly, I like to remember to have patience and compassion for this inner self of mine. She has become so brave. She exposes herself to the elements, and risks being seen, known, and loved by herself and by others.